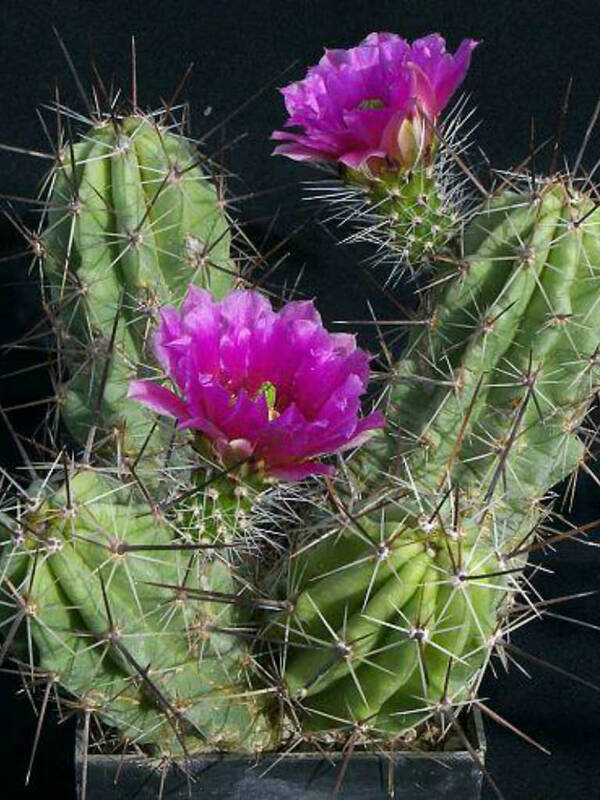 Echinocereus enneacanthus subsp. 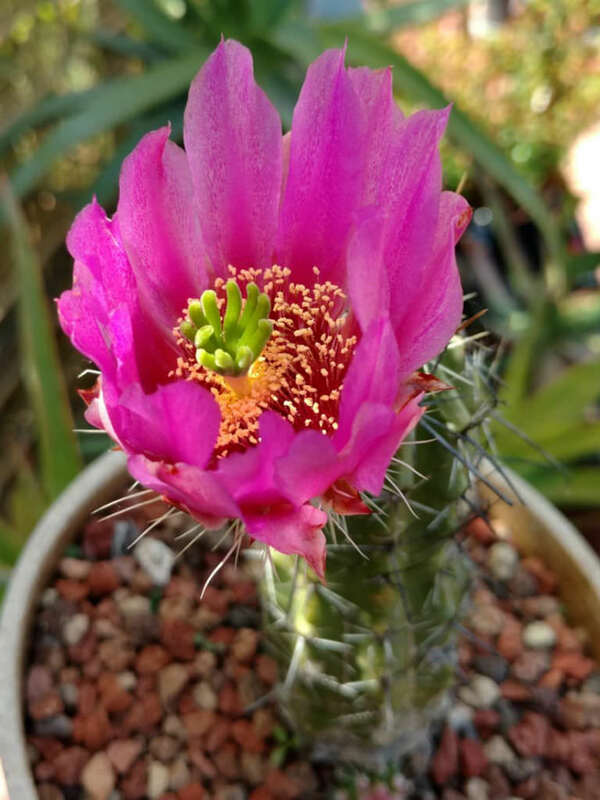 brevispinus is a cactus with cylindrical stems up to 3.3 feet (1 m) tall, that forms dense or lax flat-topped or rounded clumps either loose decumbent, or erect with 15 to 100 branches, usually branching before flowering. 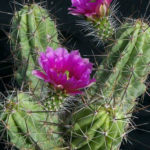 It differs from Echinocereus enneacanthus for it thinner, and slender stems, areoles more closely set on the ribs and shorter spines. Except for differences in stem size, the habits of both are similar. 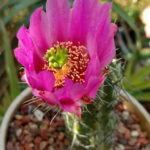 If you can successfully grow other globular cactus, you can most likely grow Echinocereus well. 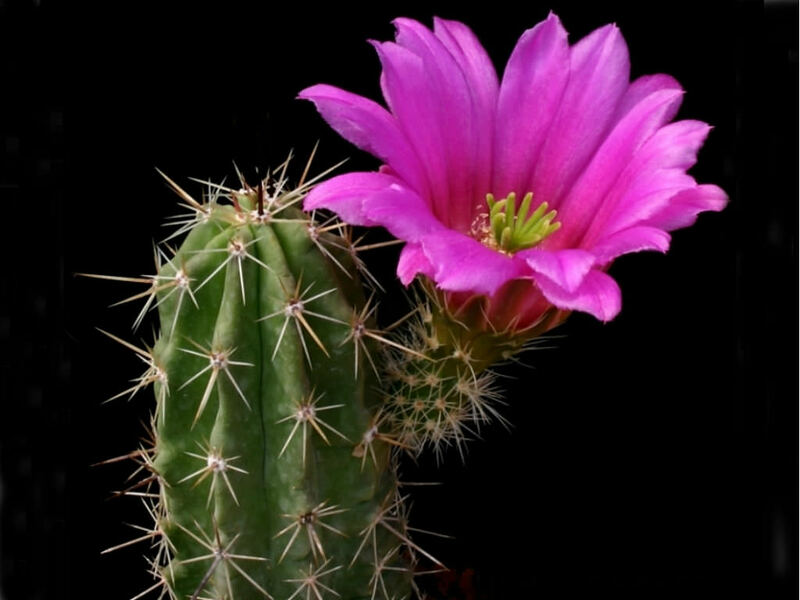 One of the key factors in success with these is avoiding any hint of wet soil. Because their root systems are weak, they are especially prone to root rot, which will eventually kill your plant. Otherwise, they thrive on a program of strong, bright light, slight water and a steady diet of light fertilizer. Echinocereus is vulnerable to mealybugs and aphids. 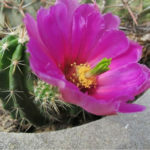 Echinocereus enneacanthus subsp. 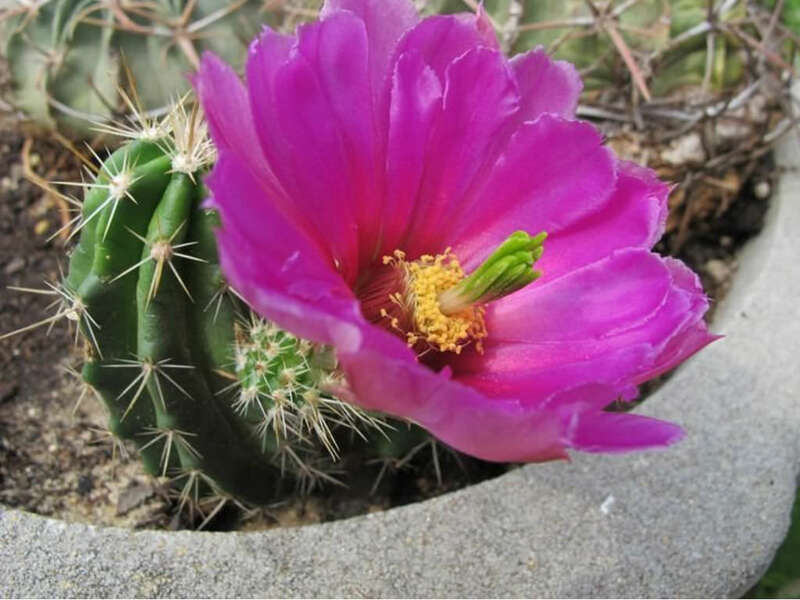 brevispinus is native to Mexico and United States.